"Always a great professional service when i have to attend the surgery everyone very helpful." 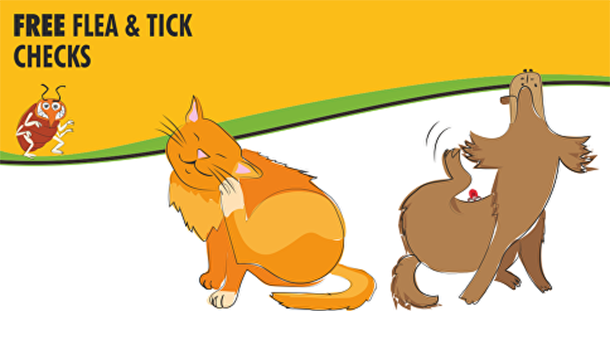 "The staff at Burch Tree Vets are always helpful and friendly. The premises are always spotless and well maintained." "The team at Burch Tree are always friendly and welcoming and deal with all situations really well even when we are worried." "We needed to see a vet while on holiday. Burch Tree were excellent, appointment arranged quickly, vet was lovely. Very happy with our visit." "Excellent staff and service. Made my dog and myself very comfortable." "Just cant thank you enough for the treatment fory two dogs.Suzie is a timid border collie and Nora is a tiny bolshie border terrier." "Every one very helpful and supportive both with my new puppy and when I had to have my last dog put to sleep the care to my self and dog could not have been better. Many thanks to you all." "Everyone is so polite and lovely and treat people and pets with respect and great care." "I was very pleased with the way the vet reassured my pet & spoke to him whilst he had his temperature taken & a prostate examination the all round visit was excellent. What I like most about Burch Tree Vets is the way they are very reassuring & the lovely manner they have with your pet." "It's clear from everybody's reactions when you take your pet here that they all adore animals and want the very best treatment and care for them." "I really like the way they approach treating my dog as she is nervous at vets and they are so good with her. Also they don’t try to over sell unneeded product or treatments." "I've always brought my pets to Burch Tree Vets. They are all lovely people and I have absolute confidence in all their abilities." "Always been very pleased with the treatment my pet gets at Burch Tree Vets." "I have been using Burch Tree vets for well over 20yrs and always been received with a warm smile and friendly ear. I have never had anything bad to say about this practice and would (and do) recommend them whole heartedly." "The staff who work at Burch Tree are extremely helpful and knowledgeable and my Labrador Retriever Rosie is always happy to visit there as well." "This is an excellent Vets surgery, Rosie loves going there to see if there are any other dogs waiting for appointments and the staff there know Rosie well so they make a fuss of her." "Always friendly and kind to me and my pet. Have had years of excellent service."